In a closed ceremony organized by Marca, Lionel Messi made history after being handed the fifth Golden Boot of his career as a professional. 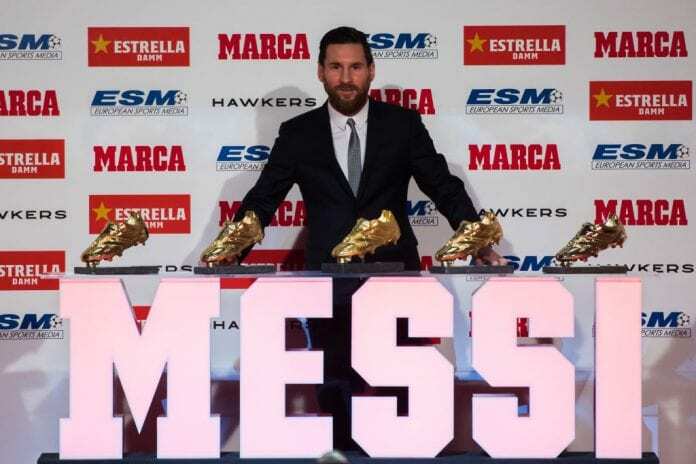 Just as it was scheduled for this Tuesday, Marca finally made the ceremony for Lionel Messi’s fifth Golden Boot ceremony as the player surpassed Cristiano Ronaldo’s four accolades in this department. This is arguably one of the few individual awards that the FC Barcelona star gets this season after scoring 34 La Liga goals with the Catalan club and surpassing the likes of Mohamed Salah, Robert Lewandowski, Harry Kane, and Cristiano Ronaldo himself. Messi attended the ceremony and spoke about how surreal all this success has been for him, he also talked about FC Barcelona’s next Champions League rival. “I did not expect all of this when I started,” said Messi to Marca. “Lyon was not the strongest name [in the hat], but it will be complicated,” added Messi. 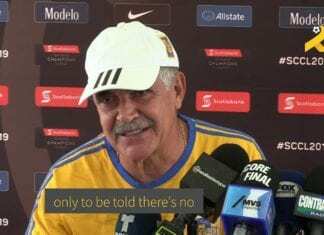 “We don’t know how they’re going to be, how we’re going to be, but we know it’s going to be a complicated game,” he concluded. 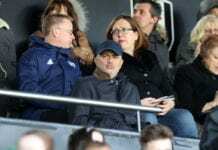 Previous articleWho should replace Jose Mourinho at Manchester United?